As concrete becomes more versatile in the construction industry in Africa, the use of concrete products has expanded into areas other than its most basic use. Today, machine produced tiles are finding their place in roofing many African houses. In addition, the use of block making machinery has transformed the building industry that has long relied on quarried stones and clay bricks. The explosion of this industry has been aided by the importation of machinery that is basic in operation and processing, so that it can be used in remote locations though more sophisticated machinery is available for mass production purposes. Other uses of concrete production machinery include: moulding of kerb stones and several other types of precast sections, both for building and infrastructure use. 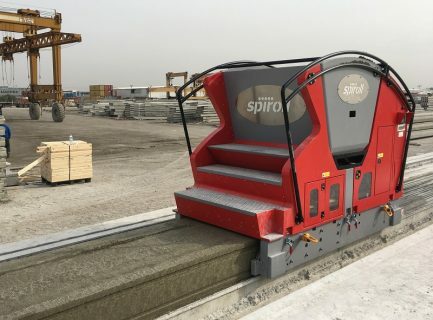 For instance Spiroll’s extruders, which are extremely efficient, are used to produce hollowcore concrete slabs for precast floors and walls. 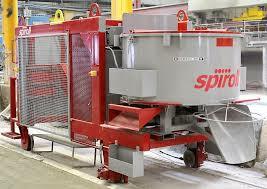 They use a very dry concrete mix and less cement than other extruders. The Vortex extruder uses high frequency vibration technology which results in higher compaction and produces slabs with a lighter self-weight and a superior structural performance. It is designed to minimize ‘down-time’ when the system is changed to accommodate different slab depths. The Universal extruder provides high quality, low cost and reliable hollowcore slab production. It is designed to be both easy to use and maintain. 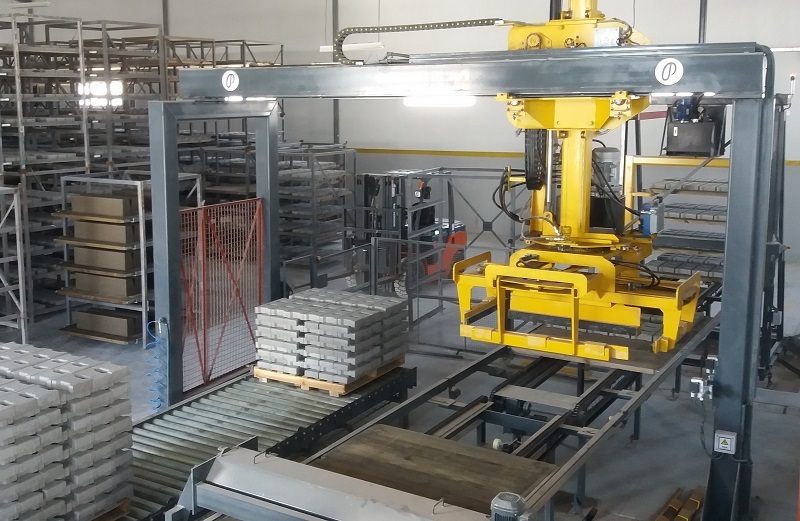 Many companies in Africa are now actively involved in manufacturing of concrete machines or concrete machinery used to produce concrete blocks, interlocking pavers, for instance Prensoland’s block machines Compacta, stationary vibro-presses for the production of blocks, pavers, kerb stones, infill blocks, brick and many other concrete products. A wide range of possibilities are available, from a simple plant to a fully automatic equipment. Kotan Bau Yapı provides superior technology, high brand quality and dynamic human resources for its customers to whom it serves with its professional staff. The advent of several new technologies and materials has dramatically changed the way buildings are constructed in the continent. For large projects concrete machinery is found in use as batching plants, mobile mixers and concrete pumping plants. All these are designed to make the production, delivery and application of the concrete to be faster and cheaper while improving on quality. Concrete making machinery is now a preferred choice these days. Rising awareness levels are also contributing to the changing buyer behavior patterns. The days of myths about concrete are all but gone. Today, concrete is seen as a cost-effective and sustainable method of construction, which could not have come a day sooner, given the frequent economic crests and downs that have become commonplace. Africa is a key emerging market for the latest concrete production machinery following the pattern of other types of construction equipment. It all started with the manually-operated and semi-automated machines that used to dominate the market not so long ago. The concrete product machinery market was still, to a very large extent, unorganized in Africa. It was during the early 2000s that the major overseas brands began to test waters in Africa, which in a way completely revolutionized the market. With scales of projects increasing, the old semi-operated machines are not enough and there is an urgent need for high capacity machines that should also easy to install, operate and maintain at the same time.